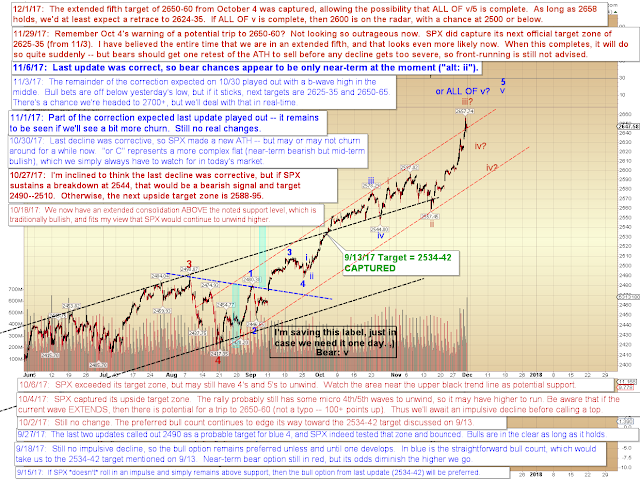 Last update noted that it appeared the rally still had farther to run, and that SPX was inching its way toward its upside target zone. Yesterday, that target zone was captured. So now the question becomes "is it close to being finished?" And the answer is: It looks like it still has some fourth and fifth wave unwinds yet to do, so it's probably not entirely over yet. 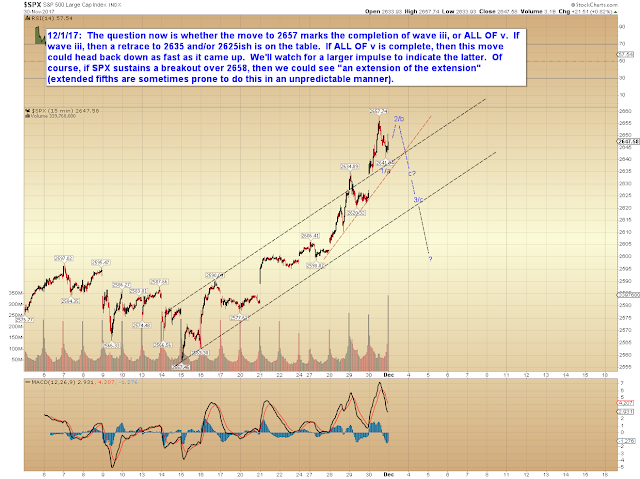 And given the structure of the entire wave, there is a genuine possibility of an extended fifth wave, so bears are going to want to be careful until the market declares that extended fifth wave potential is off the table. 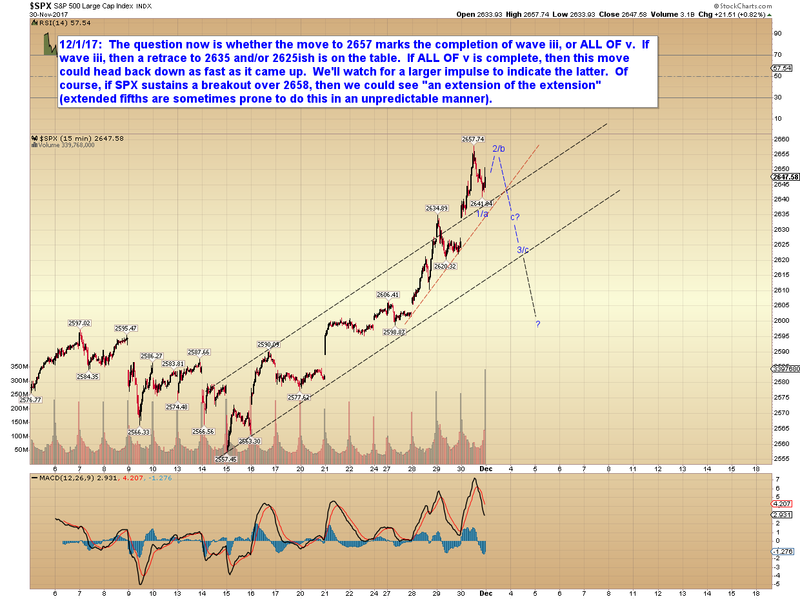 The chart included with that update noted that an extended fifth would target 2650-60 (and even emphasized that target was "not a typo"). Yesterday we got there. This allows the possibility that the rally is over for the time being. SPX also seems to have formed a small impulsive turn off the all-time-high, suggesting at least one more leg down is due after the next bounce. Given these two facts, a retest of the zone just below the all-time high (which there's a chance we'll see today) could mark the best opportunity bears have seen in a long time. In conclusion, a retest of the zone near the all-time high presents the potential of an opportunity for bears, but if we sustain a breakout over the all-time high, then we could see an extension of the extension, and bears should get out of the way. Trade safe.